The 30-year old Getafe striker has scored 13 goals in his first season in the Spanish top flight. When Jaime Mata received his maiden international call-up for the Spanish side by Luis Enrique, everyone in Spain had a heartwarming smile. It was the stuff of dreams, things people only fantasize about. Jaime Mata, the Getafe striker, who was playing in the top flight of Spanish football for the first time ever, is now in-line to make his full international debut. At the age of 15, when kids aspiring to be professional footballers are comfortably playing and learning in a football academy, for years now, Jaime Mata was a regular kid who was a big Real Madrid fan. At the age of 19, when Juan Mata was making his name at Valencia, scoring 14 goals and playing for Spain regularly, Jaime Mata was in a relegation dogfight with one of the best named clubs in the world, Galactico Pegaso, in the fourth division. The fourth division club was struggling financially, with their players going unpaid for months. Jaime Mata joined his players in a very public protest by taking his pants off. It did not help, with Galactico Pegaso going bankrupt a year later. 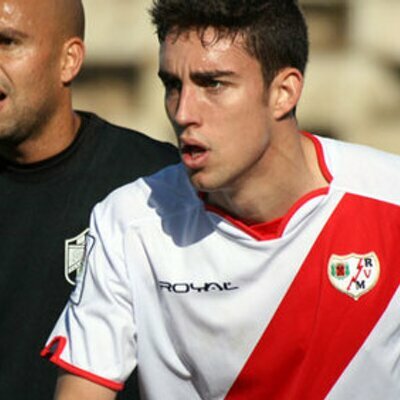 Jaime Mata was forced to move on from his home club, moving to the reserve team of Rayo Vallecano at the age of 20. He was loaned out to a fourth division club Mostoles, where he was their top scorer, but still failed to get promoted to the first team of Rayo. In the summer of 2012, he left football to study Law. He switched from Law to administration, finance and International trade and was steadily building a career for himself. But then, something unexpected happened. Lleida, a 3rd division Catalan side with big ambitions, came calling. This was the first time Mata was moving out of Madrid. He was also skeptical to say goodbye to his flourishing career, but ultimately his love for football prevailed. He signed a 2 year contract with Lleida and restarted his football career. After two impressive seasons at Lleida, in which he scored 32 goals. At the end of his two years, he got another step up with Girona coming in for him with yet another two-year contract. This was his first ever professional contract and it was at a club which was seriously pushing for promotion to La Liga. The name Jaime Mata was now starting to spread across Spain. He was now slowly coming out of the shadow of the other famous Mata, Juan. Jaime Mata was unfortunate to miss out on a promotion to the Spanish top flight, losing out in the promotion play-offs fo both the season at Girona. At the end of his contract, he moved on a free to Real Valladolid. It was widely critiqued as a regressive move, taking a step down from Girona. It was proved right when Girona got promoted in his first season at Valladolid. The move felt wrong also because Jaime Mata was played out of position, at the left wing, in his first season at the club. He struggled to make an impact and Real Valladolid mirrored his struggles. After a change in hierarchy, Jaime Mata was moved to the centre-forward role in his second season at the club. He then produced a magical season with Valladolid, scoring a mind-boggling 33 goals. He had scored the most goals in the Segunda division since 1987, and added two more in the playoffs, helping Valladolid to a promotion to the top flight. This was redemption for Jaime Mata. He was redeemed for chasing to leave a career in finance to follow his passion. He was going to play with the big boys in probably the best league in the world. He then made another big decision. Jaime Mata moved to Getafe on a three-year contract, yet again on a free transfer. He decided to move from a club which was bringing out the best in him to a club which was widely tipped to go down this season. It was a bold move, but a move which yet again proved to be the right one. Mata had a slow start at Getafe, but he is coming into his own in the second half of the season. He scored a brace against Deportivo Alaves, Celta Vigo and SD Huesca, winning the crown of the best player of the month in February, ahead of the likes of Lionel Messi and world-cup winner Antoine Griezmann. There couldn’t have been a better fairy tale written for Jaime, struggling in the fourth division of Spanish football in his 20s, giving up his career in football to make a living, making an emotional return to the third division and then ultimately making it big in the Spanish top flight with Getafe and getting the dream call-up. His form in Spanish top flight has made it impossible for Luis Enrique to ignore him, with Jaime Mata dragging the surprise team of the season single-handedly into the top 4, a move the likes of Valencia and Sevilla. On a Shoe-string budget, they are doing something magical. With Malta and Faroe Islands in the Euro qualifying group, Jaime Mata could very well make a mark and keep his place in the Spanish National squad, boosting his Euros 2020 chances.